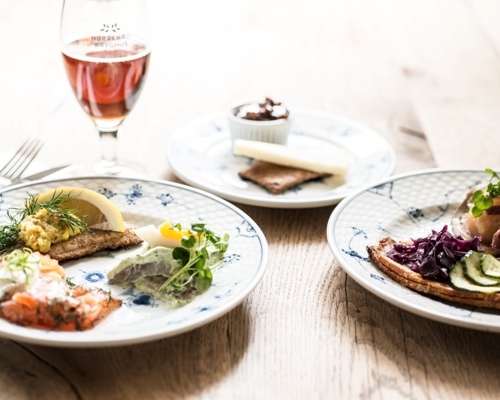 We celebrate spring with a traditional Danish Easter lunch with some of the seasons’ delicacies and our regulars’ favourites. Enjoy your Easter lunch accompanied by tasty draft beers from local artisan brewery, Nørrebro Bryghus, and perhaps a couple of “sensible” Easter aquavits. And it is a much revered Danish custom to celebrate the event over a cosy lunch with your partner, family, friends or business connections. We follow the Danish traditions by serving eggs and lamb for the Easter lunch and up the game a bit with some of the best seasonal ingredients as well as a couple of our regulars’ favourites. The Easter lunch is served family style in three servings and is DKK 349 per person (minimum two people). Please note that we retain the right to make changes in the menu according to the availability of the seasonal ingredients. We serve the Easter platter and Easter lunch menu from Wednesday 3 to Monday 22 April 2019. We reserve the right to changes to the above.